Charlie Brown & Snoopy Best Friends Stackable Mugs are perfect for sharing a favorite beverage with your friends or simply keeping company with all of your other Peanuts treasures. Each mug holds 6 oz. Dishwasher/Microwave friendly. 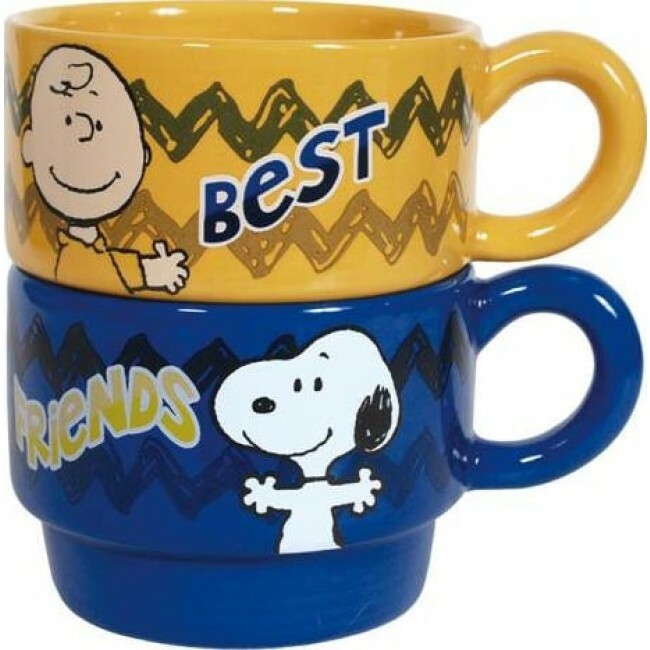 Charlie Brown & Snoopy Best Friends Stackable Mugs are perfect for sharing a favorite beverage with your friends or simply keeping company with all of your other Peanuts treasures. Sure to bring smiles either way. Each mug holds 6 fluid ounces. Dishwasher/Microwave friendly, friend!